It should come as no surprise to anyone that where there is technology created for good, it will eventually be used for evil. That’s as true with nation states as anyone else, because sooner or later, someone with an eye to defence or offence will come along and find a possible alternative use for the latest gadget. Most of the time we civilians – if we hear of it - might turn a blind eye when inventions are weaponised because it’s done by those we trust… or at least, done by people we don’t distrust quite as much as others. Where the blind-eye rule goes off-tangent a little is when something relatively innocuous can be turned against us by those who wish us ill. I’m thinking here of drones. Not the big Predator-type, missile-firing craft (otherwise known as an unmanned combat aerial vehicle or UCAV for short), but the much smaller versions seen being flown for recreational purposes and, more seriously, for commercial use such as in surveys, film-making, traffic monitoring (and, undoubtedly more and more for people monitoring, aka crowd control). When I first conceived of a thriller featuring small drones or quadcopters as a potential weapon (in what was to become ‘The Bid’ – Midnight Ink) back in 2015, I was constrained by the known models available at the time having limited payloadcapabilities (what they were able to carry apart from the camera), as well as flying range and ceiling restrictions. There were also a ton of rules in place – and more to follow - about use and abuse. Not that any terrorist would care about those, of course. But it was useful research. In the book, a shipment of drones has been stolen from a cargo hub in the US, and the machines are suspected of being used in the planning and rehearsal for a terrorist strike on a military base in the Midwest, while the US president is making an official visit. At the same time, a drone expert, a former USAF Intelligence officer, has been kidnapped and held in a box jail and forced to teach a group of terrorists how to fly the machines under threat of death of his family. The two investigators sent to track down the missing expert, British –ex-cop and soldier, Ruth Gonzales and Andy Vaslik, also ex-cop and Homeland Security agent – (see also ‘The Locker’ – Jan 2016 – Midnight Ink), soon find they have only a very limited time to find where he’s being held… and how to stop the attack. And the US is a very big place to search. By the time I finished the book and it was going to print in the US in late 2016, drone technology had already moved on, as technology inevitably will. Where I’d decided that a standard-issue, over-the-counter model would do, with a payload of 2.5kg (5lbs) to carry a small amount of explosive or chemical over a range of up to twenty miles, new models were coming out with much heavier payload capabilities, a greater range and ceiling, and could move at much faster speeds, making them more difficult to track and stop. However, my book is not a treatise on how to use drones, and it was too late to re-write the basic details and in the end, I figured unnecessary, because enough was enough; by the time I’d accounted for improvements, there would be even more out there, a case of fiction chasing reality and not being able to win. (I suppose I could have gone for pure invention, but I always prefer to write about things as they are, for the sake of reality). Sadly, to revert to my opening line, it’s no surprise that terrorists are already reported to be using drones, either for scoping targets or opposition forces, or for more aggressive actions such as delivering bombs. This chain of events will undoubtedly continue, with protective or counter-attack methods being invented and improved, followed by the use of newer and more sophisticated drones to overcome the defences, in a sort of technological and deadly game of leap-frog. A prisoner who wakes up in a box miles from anywhere. A jailer who doesn’t question his job. 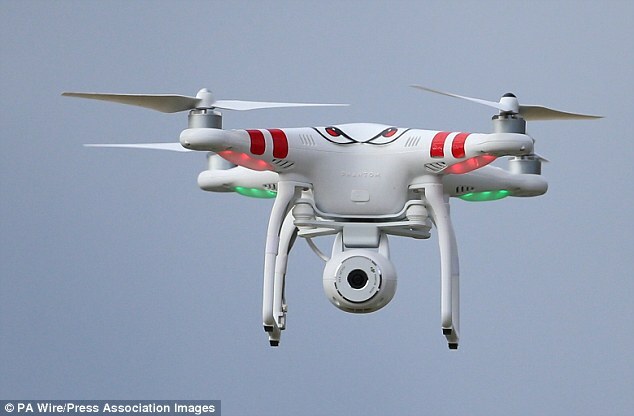 A shipment of drones stolen in transit from a cargo hub. Kidnappers planning a devastating attack on US soil. When James Chadwick, a drone expert, disappears suddenly, Cruxys Solutions investigators Ruth Gonzales and Andy Vaslik are assigned to track his last movements. With few clues to go on, the hunt moves from London to New York, gathering speed as they close in on a horrifying plan to kill the US President and inflict total damage on a US Air Force base. "A nice mix of superheroes and regular folks; some snappy writing and a timely story". “Action-packed, filled with suspense at every turn. We can always expect an exciting thriller from Adrian Magson, and The Bid is no exception." ‘The Bid’ – the 2nd in the Gonzales & Vaslik series – Midnight Ink – Feb 8 2017. Adrian Magson is the author of 21 crime and spy thrillers, a YA ghost novel and 'Write On!' - a writers’ help book. His latest books are 'The Bid’ (Midnight Ink – Jan 2017), second in a new thriller series, and ‘Dark Asset’, (Severn House – Feb 2017), the fourth in the Marc Portman spy series. A reviewer for Shots Magazine, he also writes the ‘Beginners’ and ‘New Author’ pages for Writing Magazine (UK).